Brake Fluid is a hot topic because most people don’t know why it should be changed. Did you know the average motorist who drives 10,000 to 15,000 miles a year uses his brakes about 75,000 times a year? Did you know that nearly half of all motorists in a recent Car Care Council survey said brake failure was their number one fear amongst driving emergencies? Brake fluid is one of the most neglected fluid in vehicles today, yet is vitally important for safe driving. Consequently, professional technicians should be checking the fluid and recommending that the brake fluid be changed if it is contaminated. The issue is old brake fluid may not be safe if moisture contamination is above a certain level. 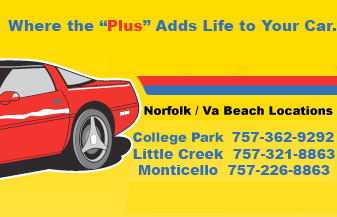 Trust the experts at Accurate Tune Plus at our 4 Norfolk/Virginia Beach locations to help keep your car’s brake fluid up to date, making for a healthy braking car or truck.